Caravanning nowadays is high-spec and high-tech. But it hasn’t always been this way. Not even for Jayco. The latest issue of Caravan World includes a mini magazine commemorating the 40th anniversary of Australia’s largest RV manufacturer. 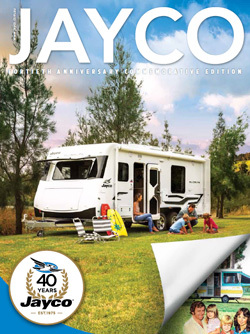 This magazine reveals just how far Jayco has come from very humble beginnings. In 1975, operating out of a cow shed on a paddock near Cranbourne, Vic, Gerry Ryan – founder and chairman of Jayco – built his prototype wind-up camper. In the year to follow, Jayco’s first camper trailers were rolling off the factory line in Springvale, initially one a week – a far cry from the sophisticated 50-acre plant in Dandenong that currently runs out an RV every 11 minutes. 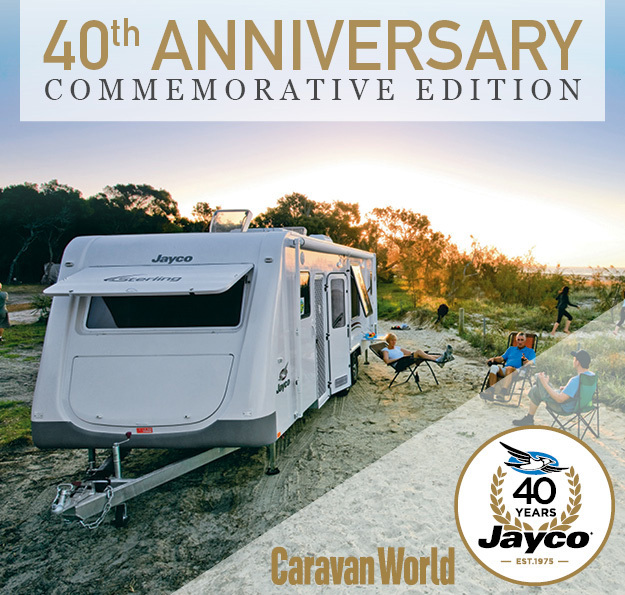 Subscribe to Caravan World and receive your copy of the Jayco 40th Anniversary commemorative edition.